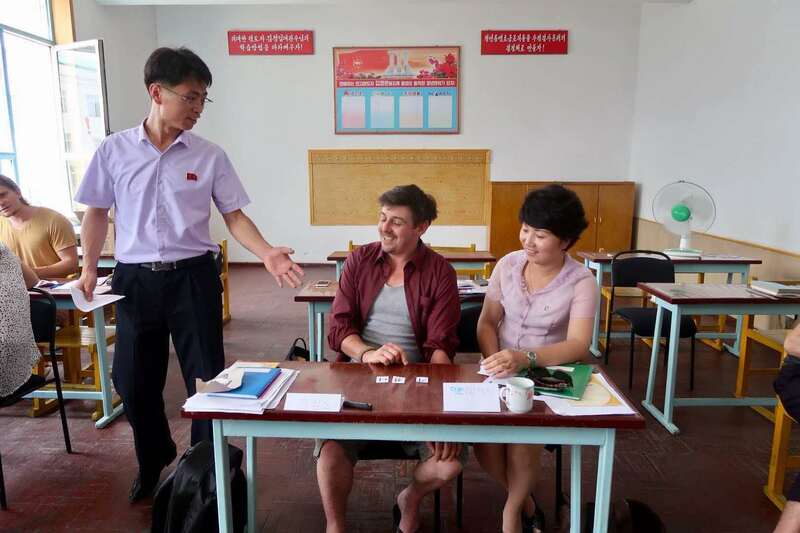 After our inaugural Pyongyang Language Study Tour in 2018, Young Pioneer Tours is proud to continue what is without question our most intensive and extensive North Korean experience. 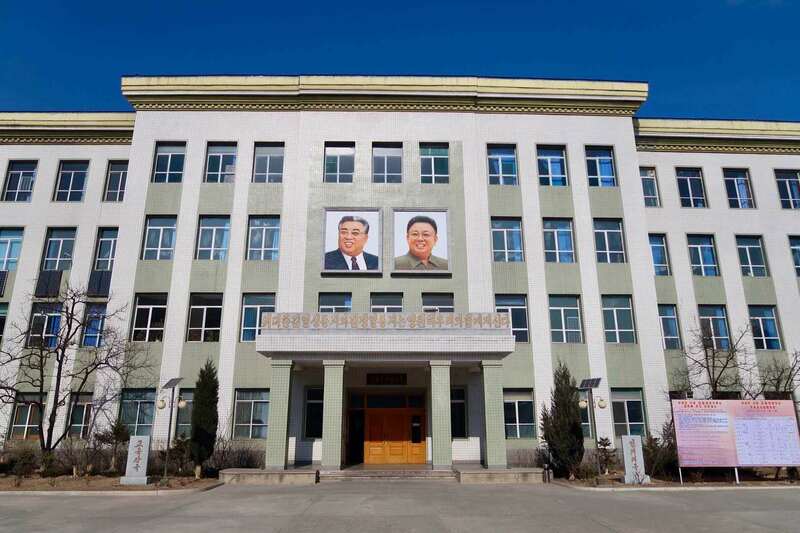 Not only will you experience the must-see sites of the DPRK, you’ll dig deeper into life in Pyongyang over 29 days than any other tour on offer, being an exclusive group of Westerners to study at the Kim Chol Ju University of Education. 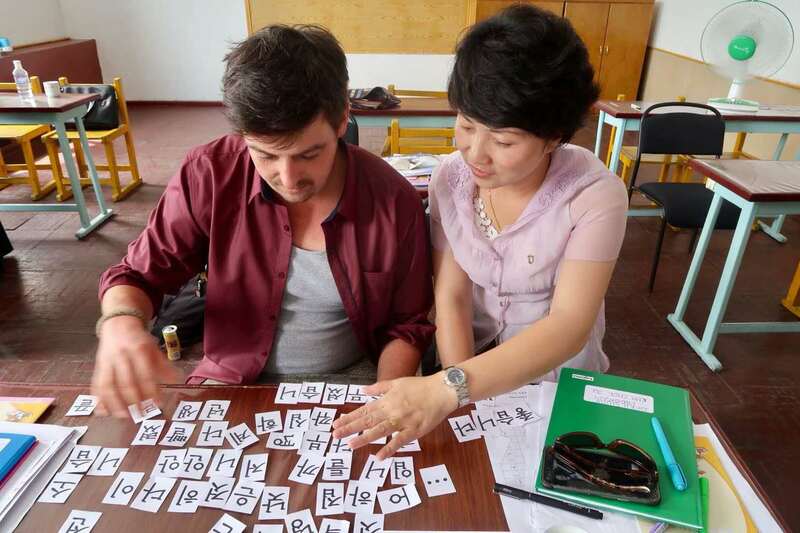 Whether you have zero Korean language skills, or possess beginner to intermediate skills looking to learn more about the specifics of DPRKorean language, classes will be split based on language ability. 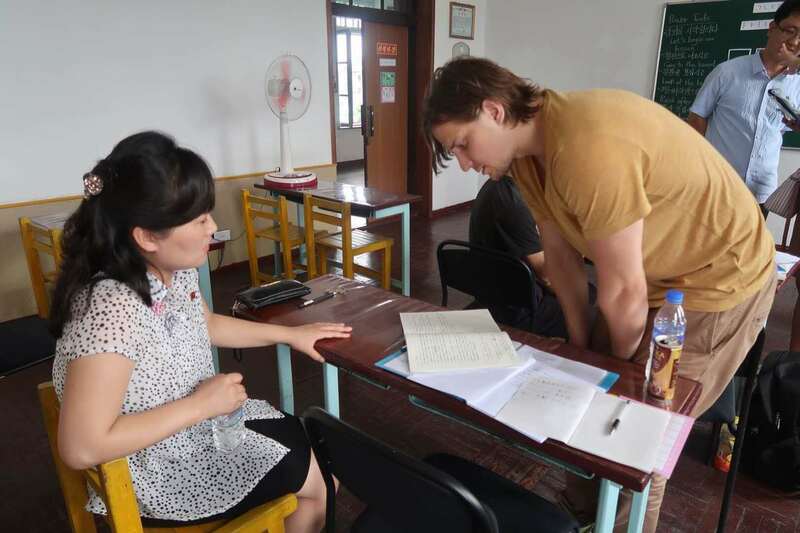 Our 2018 tour saw Pioneers with zero language skills finish the language program with reading and writing skills as well as speaking skills and the ability to have basic conversations and translate sentences from Korean to English. Monday to Friday will see us take part in three hours of DPRKorean language classes in the morning, including extra-curricular activities with other students at the school. Afternoons are spent exploring all that Pyongyang has to offer, including all the must-see sites from Kumsusan Palace of the Sun to the Victorious Fatherland War Museum and everything in between. The real beauty of this tour is that due to the sheer amount of time available, once we’ve experienced the must-see sites, Pioneers will get to experience life in the capital, visiting everyday sites and locations usually off-limits to regular tours. 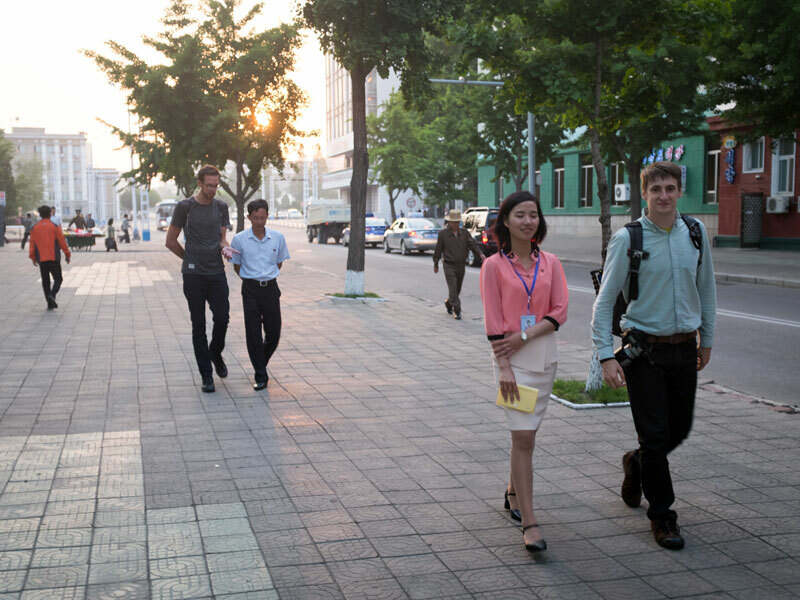 2018 saw us visit a local cinema, visit the apartment of a Pyongyang family for tea, attend special lectures at the coveted Kim Il Sung University as well as visit over 65 different local restaurants and bars over the duration of the trip. 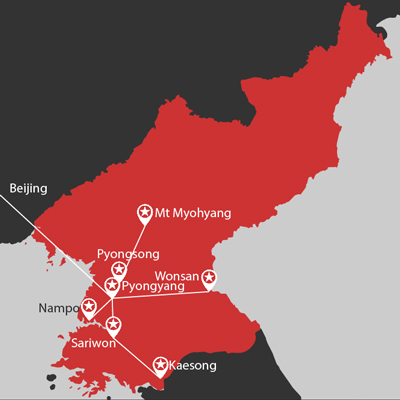 On weekends we’ll take trips out of the city including excursions to the DMZ, Kaesong and Sariwon where we’ll visit the rapidly evolving border between North and South Koreas. 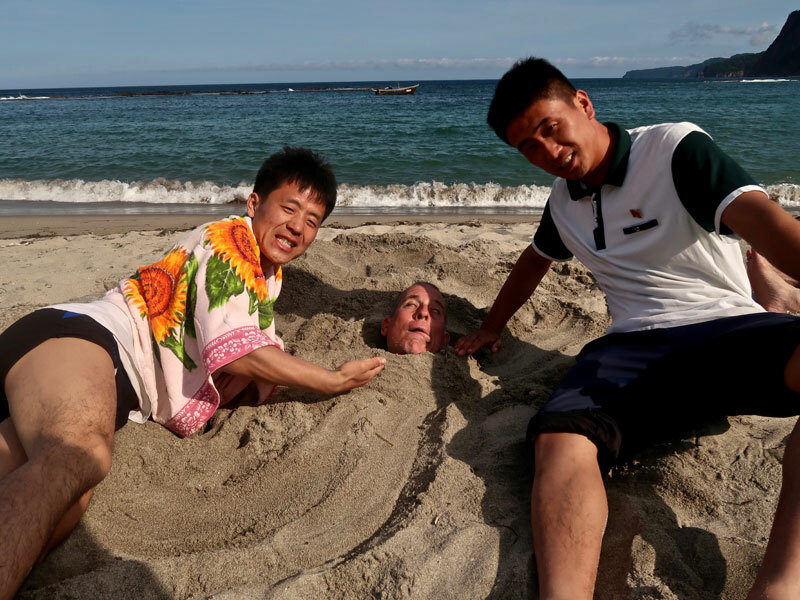 Taking place in the middle of summer, we’ll road trip to the east coast beach city of Wonsan. Here we’ll enjoy beach-side BBQs, swim with the locals and enjoy some of the best seafood the DPRK has to offer at the local pier selling freshly caught goods. We’ll also head to the west coast beach city of Nampo where the Taedong River meets the sea and stay at the kitsch Ryonggang Mineral Spa. If beaches aren’t your thing we’ll also be visiting the recently opened Masikryong Ski Resort, which while out of ski season, provides some glorious hikes and mountain views of the Masikryong Ranges. We’ll also head to Mt. Myohyang where we’ll visit the epic and surreal International Friendship Exhibition and Pyongyang’s satellite city of Pyongsong. 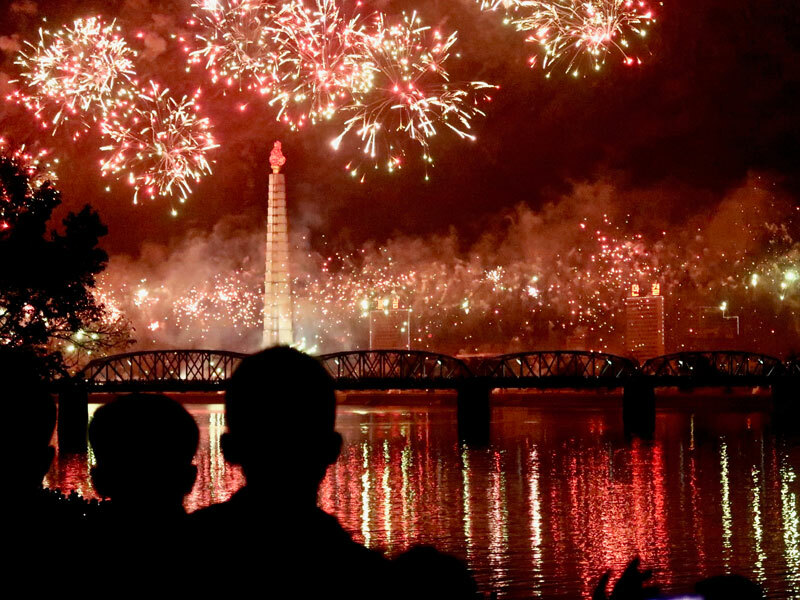 During our time on tour we’ll be in the country for Victory Day, where we will be taking part in any available DPRK celebrations, as well as hanging out, dancing and drinking with locals in the park, watching the fireworks and joining in the Mass Dance! This kind of opportunity is a once in a lifetime experience and YPT is extremely proud to be able to work with the university to put this together. We will have classes for different language levels so whether you’re just beginning your Korean language study, already fairly fluent or just want an experience that’s truly unique, this is the tour for you. Meet your YPT guide at 1:30pm at the Beijing Zhong Gu Hotel near Beijing Railway Station found here. During this meeting, we’ll go through the tour’s itinerary, receive DPRK visas and tickets, as well as being a great chance to meet your fellow travellers/classmates and to discuss any other questions you may have about the DPRK. Flight takers depart 12:55pm from Beijing Airport Terminal 2 on Air Koryo. (Group will meet at Air Koryo check in counter). Flight group arrive in Pyongyang to a warm welcome from your Korean guides. Check in and overnight at Rakrang hotel. Up nice and early for the 2 and a half hour drive to Kaesong City. Panmunjon DMZ Village – see the DMZ and the treaty and conferences rooms where the armistice was signed all in the company of a friendly KPA officer guide (you can also take pictures of soldiers here!). Koryo Museum – the oldest university in Korea and now a converted museum of local history. Also the site of the best propaganda and stamp/postcard shop in the DPRK! Lunch at the Thongil Restaurant in Kaesong City – try your hand at traditional Korean Pansangi – a series of dishes served in bronze bowls. (Optional extras- Dog soup 5 euro, Ginseng Stuffed Whole Chicken 30 euro- can be split between several). Drive up the concrete wall, which separates North/South, here a Korean Senior Colonel will talk to us about the DPRK’s views on the confrontation. Drop by Sariwon City (Capital of North Hwanghae province) to walk in the local folk custom park and view the city from the mountain top pagoda. Also if you like you can try Makkoli in a local Makkoli Bar. Photo opportunity of the Monument to the Three Charters of National Reunification, standing over the Reunification Highway. Dinner at the Lamb BBQ Restaurant. Overnight at the Rakrang Hotel. 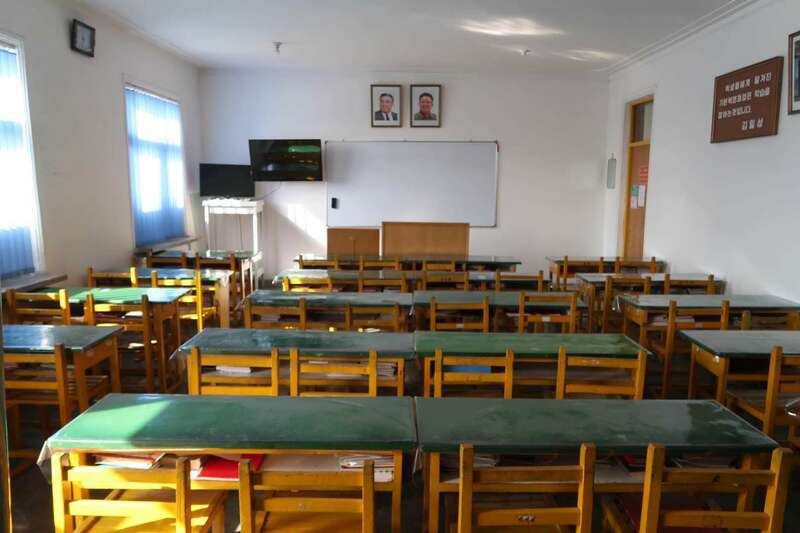 We’ll have our very first class at Kim Chol Ju University of Education where we’ll be introduced to our teachers and a tour of the entire campus to familiarise ourselves- Each day we will have three one hour classes with Breaks in between each class. Juche Tower – The tallest stone tower in the world this monument represents the eternally burning flame of the Juche ideal (Optional extra 5 euro to go to the top of the tower). Visit Mansudae Grand Monument – the two large bronze statues of President Kim Il Sung and Leader Kim Jong Il overlooking the city. 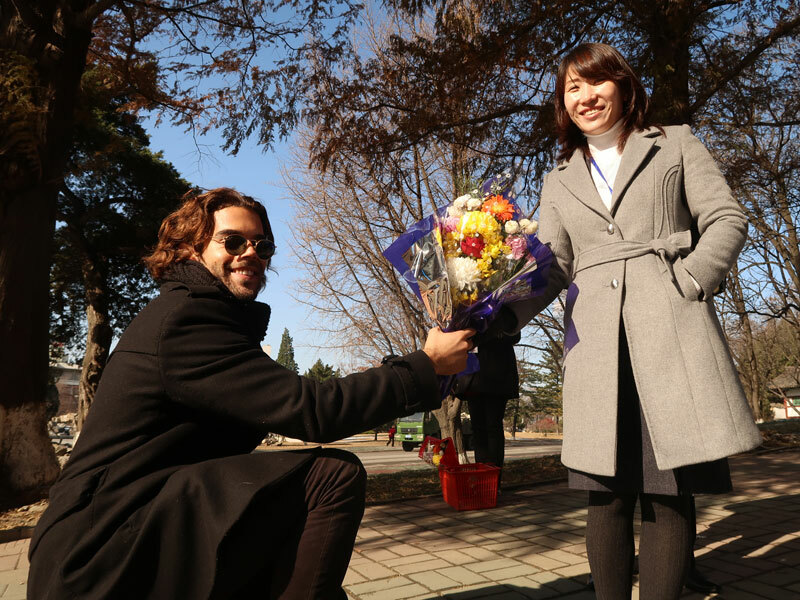 (Optional extra- you can present flowers if you want). Dinner at the KITC No.1 Restaurant to sample Pyongyang Cold Noodles or a traditional Korean dish, Bibimbap. The Victorious Fatherland Liberation Museum- learn the local perspective of the Korean war, see captured US weapons and famous Korean weapons/vehicles as well as the USS Pueblo- the only American warship held captive in another nation. Visit Manyongdae Schoolchildren’s Palace- the top extra curricular center in the city and host to a fabulous performance. You’ll tour the rooms and see the students practice then check out the show. Check into Masik Resort with a tour of the high class facilities which incldues Sauna, swimming, gym, billiards, massage, hiking, ping pong and outdoor sports. Drive out to Wonsan city on the East Coast- a YPT favourite this city has that great coastal vibe. Songdowon Schoolchildren’s Camp- the most famous schoolchildren’s camp in the country, you may even see international participants. Take a walk around Wonsan square and see the Mangyongbyong 2 which once ferried Passengers and cargo between Wonsan and Japan. Drive back to Pyongyang Stopping at Ulim Waterfall on the way for a leg stretch and to see the falls. Ride the Pyongyang Metro! Exiting at the Arch of Triumph- we’ll then go up top to check out the great views from the arch. Saturday 27th July – Victory Day! Visit the very famous International Friendship Exhibition – two large gift houses holding the gifts presented to both Kim Il Sung and Kim Jong Il from people, governments, and institutions all over the world. This is a must-see! Pohyon Temple – One of the 5 famous temples of Korea and one of the largest Buddhist temples in the DPRK. Visit Moranbong hill to dance, party and mingle with the locals as they celebrated the biggest holiday of the year! Special celebratory events (optional: approx 20 euros) – Yet to be confirmed but we will take part in any holiday events that are possible for tourists to attend. These may include a parade, a circus performance, and possibly some other surprises. Expected mass dance for Victory Day, join in or just watch for fantastic photography opportunities! Kumsusan Palace of the Sun- The mausoleum for the Great Leader President Kim Il Sung and the Dear Leader Kim Jong Il. Revolutionary Martyry’s Cemetery – The resting place of the greatest of the anti-Japanese revolutionary fighters each grave features a bronze bust of the hero laid to rest within. Munsu Water Park- With a selection of slides and pools, a sauna, massage and games such as table tennis and billiards, as well as a coffee shop this is a great place to relax on a Sunday afternoon. (entry is covered but activities such as swimming, massage etc are extra). Switch to another hotel – Changwangsan Hotel. Has a newly renovated indoor swimming pool with gym, located right downtown Pyongyang. Group A flight members depart Pyongyang at 9:00am and arrive in Beijing at 9:55am local time. The Three Revolutions Exhibition Hall- learn about a variety of the DPRK’s achievements in the fields of technology, ideology and culture. Overnight at the Changwangsan Hotel. Visit Kwanbok Supermarket where you can use local currency and buy a wide variety of locally produced and imported goods at great prices. Don’t forget to check out the food court on the third floor! Visit the Korean Film Studio- The first and largest of the country’s film studios, this is where classics such as The Flower Girl were produced. With 3d sets and the chance to dress up in costume you can be a tiny part of DPRK film history. 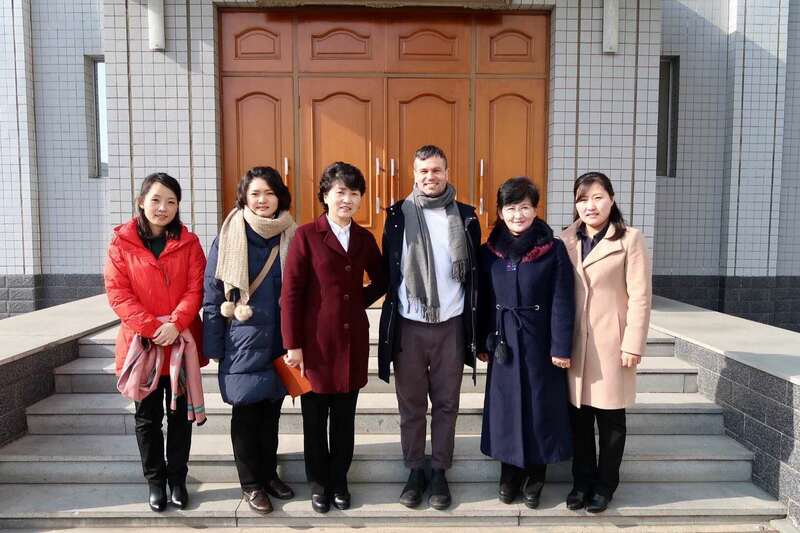 Visit the Pyongyang Center for Economics and Culture for the Deaf and Blind- engaged in important work such as created sign language subtitles for educational broadcasts on both TV and the intranet and braille transliteration of works for the blind YPT has sponsored the Center since 2016 – If you’d like to help the center with a donation please let us know in advance. 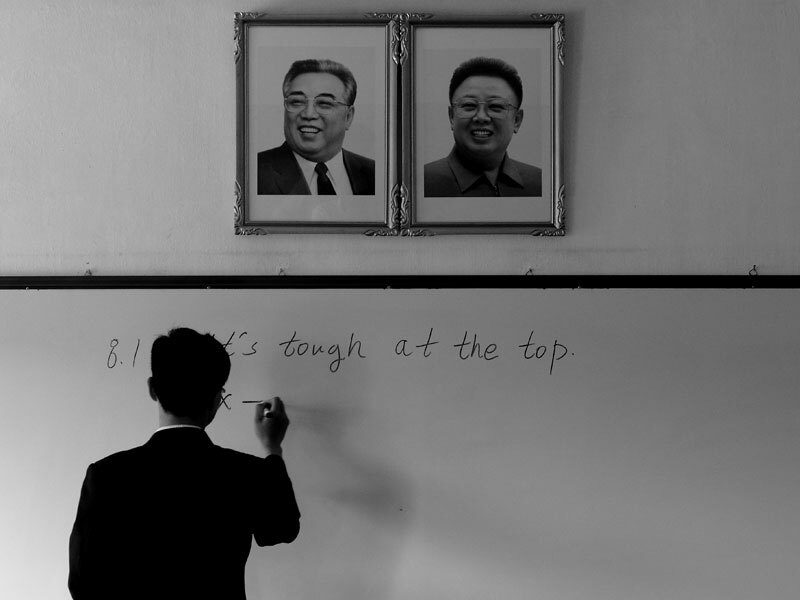 Visit Kim Jong Suk Middle School Number 1 – here you can meet English students and we encourage you to speak and even teach an impromptu class! Drive to Nampho City (3 hours) – A directly Administered Port City on the West Coast. Chollima Steel Complex – One of the DPRK’s most famous industrial sites, named after the Chollima movement it helped lead. 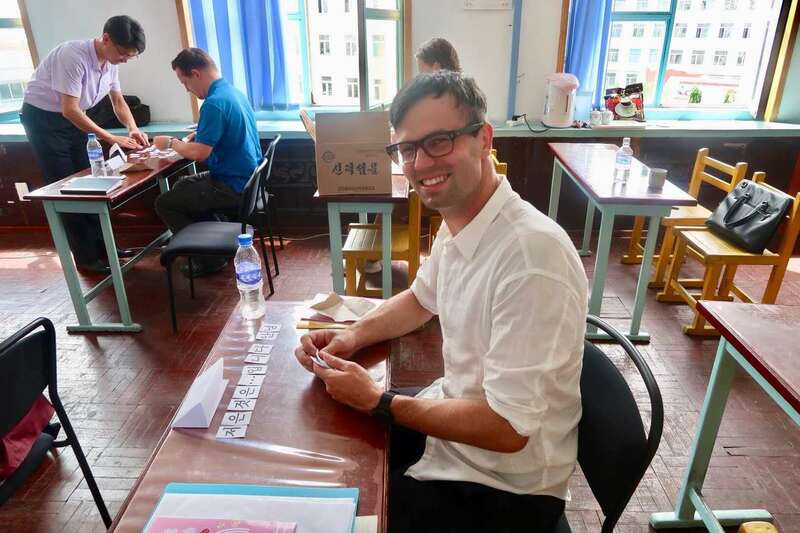 Kangso Mineral water factory – Home to the DPRK’s most famous sparkling water, with samples! Spend the afternoon relaxing on Nampho Beach. Dinner and overnight at the famed Ryonggang Hot Spa resort with a Mineral spa bath in each room. West Sea Barrage – an astounding example of socialist construction, the barrage was built to keep the salty water of the West Sea from rendering parts of the Taedonggang River and surrounding farmland useless, as well as to tame the local sea. Chongsan Co-operative farm – one of the most successful co-operative farms in the DPRK and a great place to learn about the co-operative farming method. 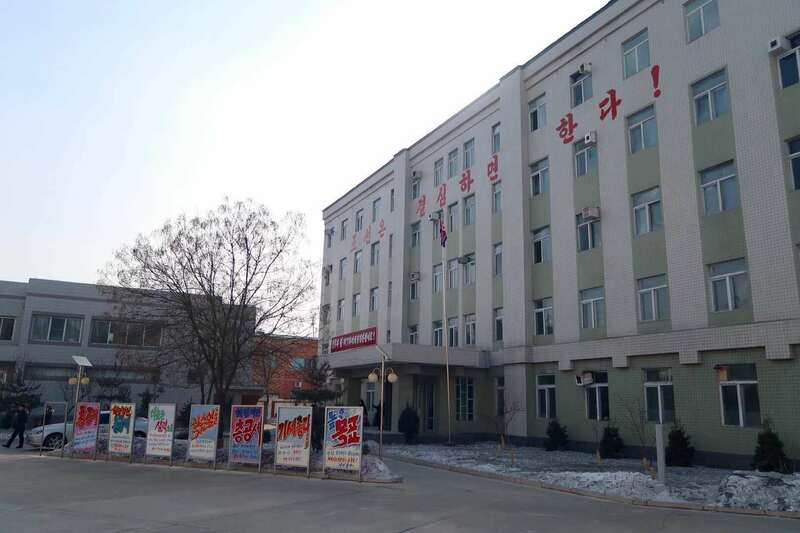 Kim Jong Suk Textile Mill- One of the top textile mills in Pyongyang you can tour the factory and the facilities and dormitories provided to the workers who live on site. Overnight at the Ryanggang Hotel. Watch a movie at the local Taedongmun Cinema House! What Is There To Do In Pyongyang, North Korea? Korean Language: Is South Korean different to North Korean? Be part of an exclusive group of Westerners to ever study at the Kim Chol Ju University of Education! Meet and participate in a range of everyday activities with local students. Tour the top sites of Pyongyang as well as weekend getaways to the beautiful Mt Myohyang Nature Reserve, Wonsan and Nampho cities, Pyongsong and Kaesong/the DMZ. • Train in and out Beijing-Pyongyang-Beijing. • Flight from Pyongyang to Beijing.